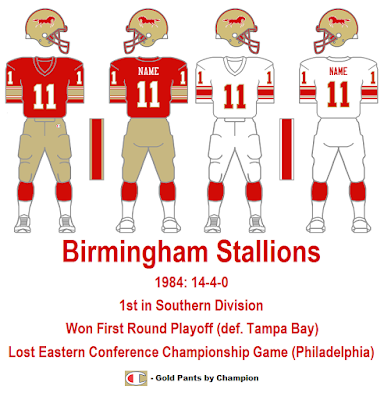 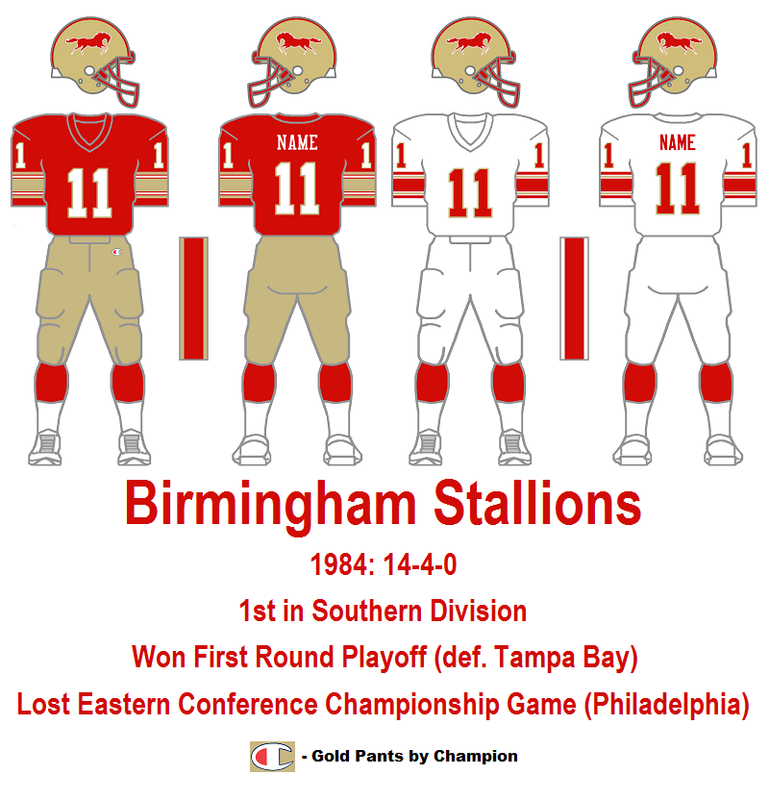 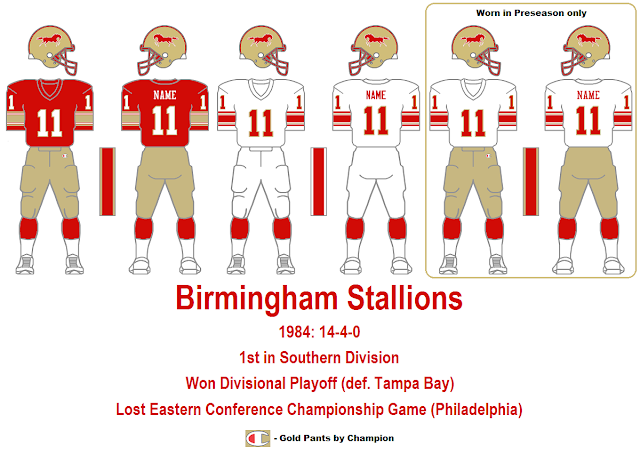 Stallions wore white-over-gold during the Preseason. 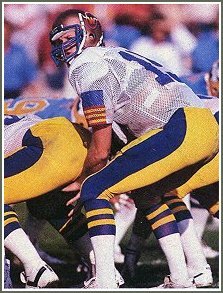 Pants stripes were equal thickness. 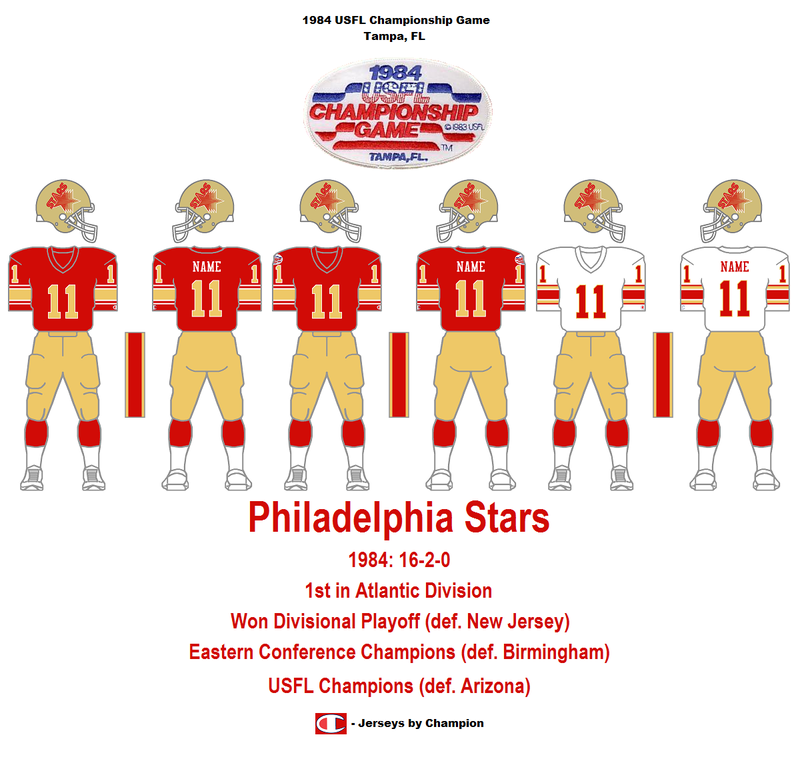 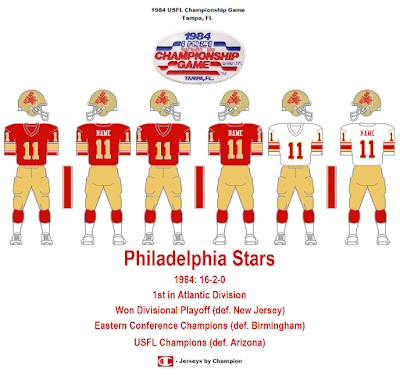 Star in helmet logo was silver - not white. 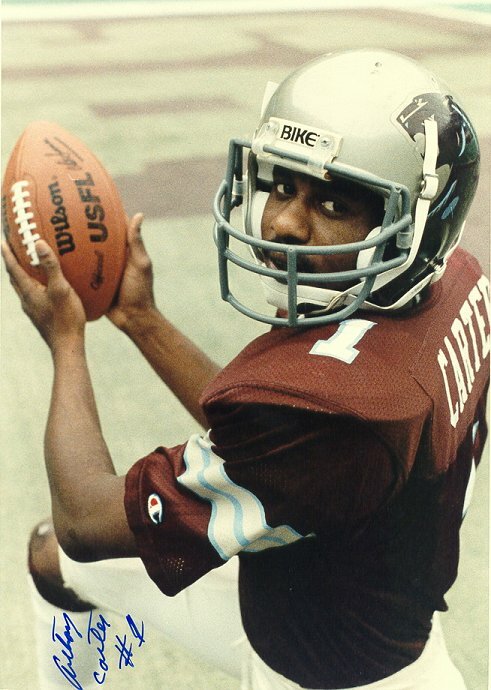 Facemasks on 'champagne' helmets were grey - not champagne. 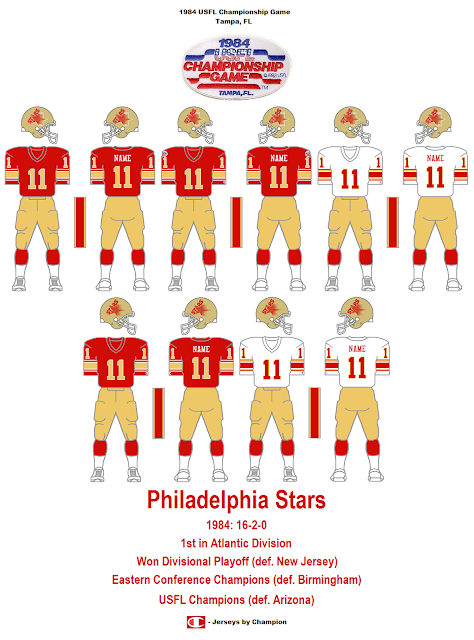 Stars wore helmet logos with white trim beginning in Week 1 (not Week 6). Weeks 1-5 on the weekly match-ups will be changed to the appropriate helmet logos and the combos without the trim will be removed from the yearly image. 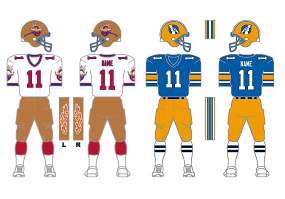 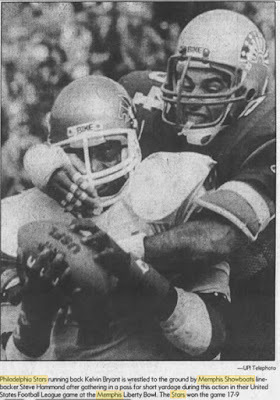 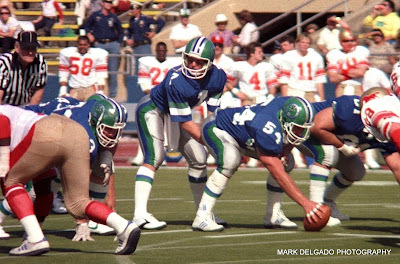 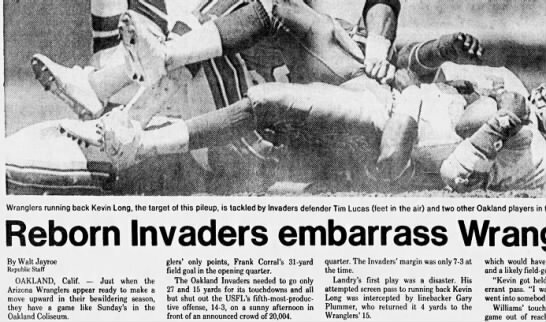 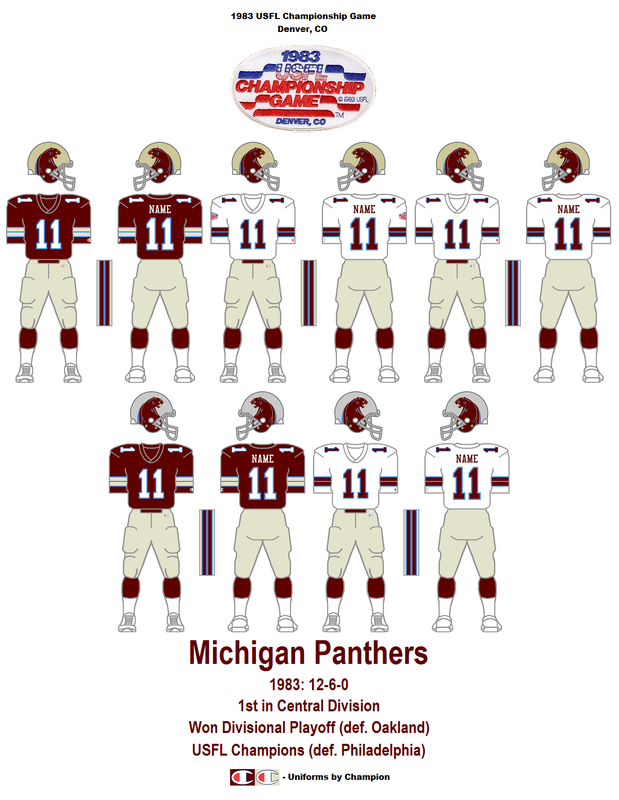 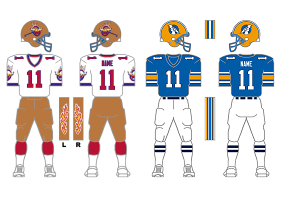 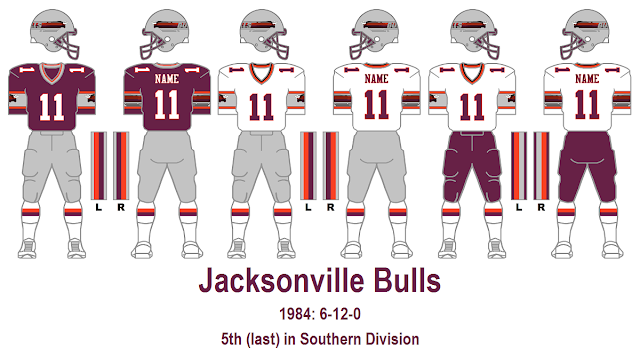 Oakland Invaders wore white pants, not yellow. 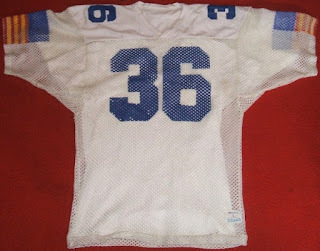 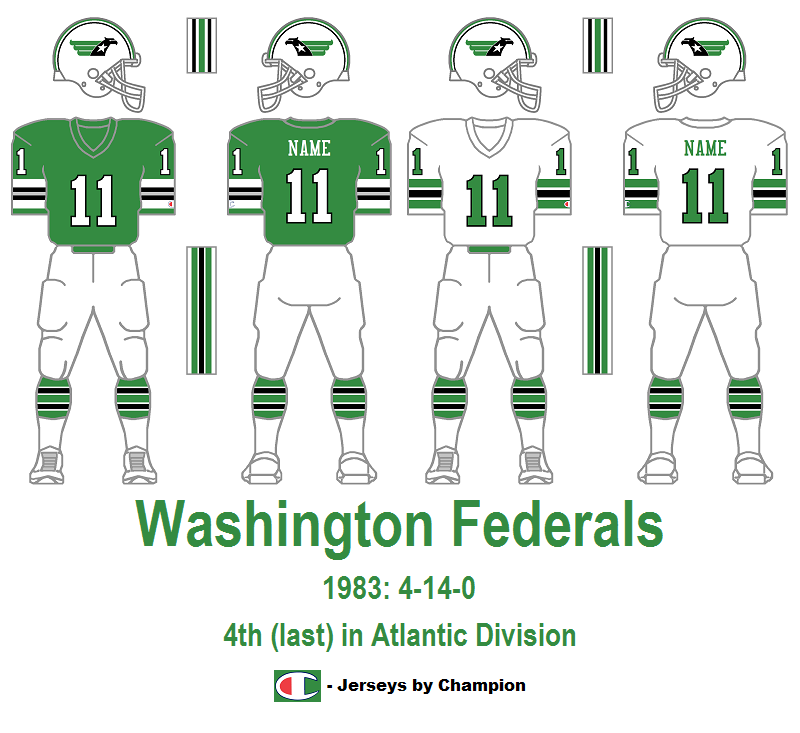 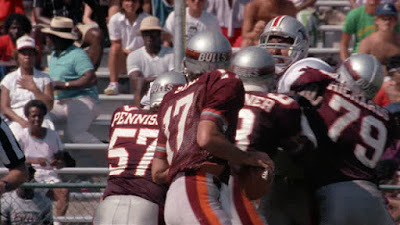 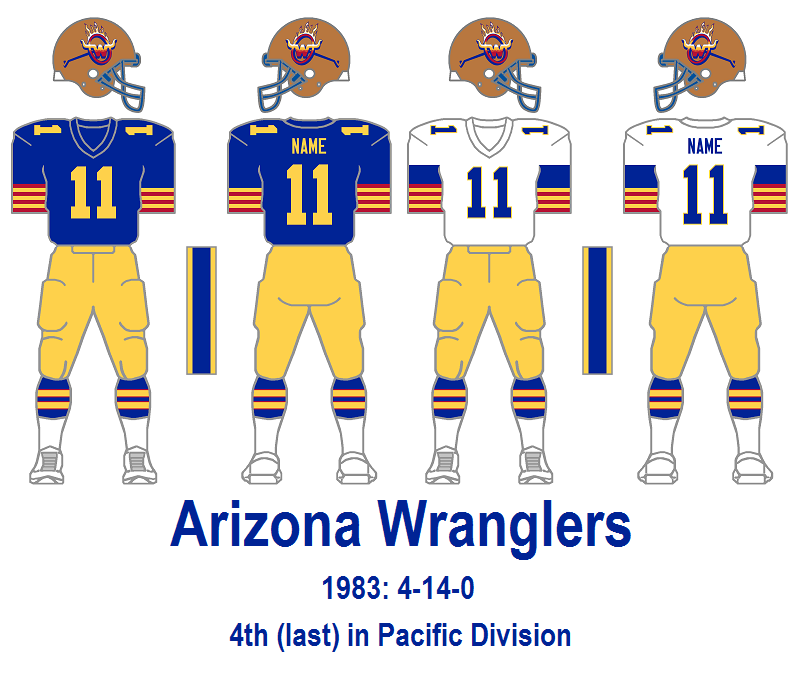 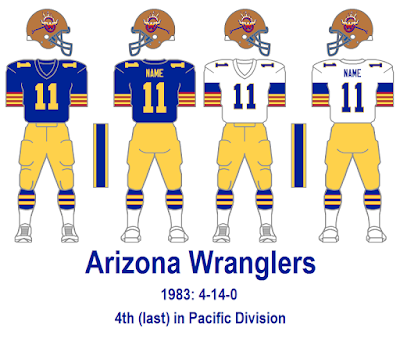 Wranglers wore mesh jersey with unfinished complete sleeve stripe pattern that did not entirely encircle sleeves. 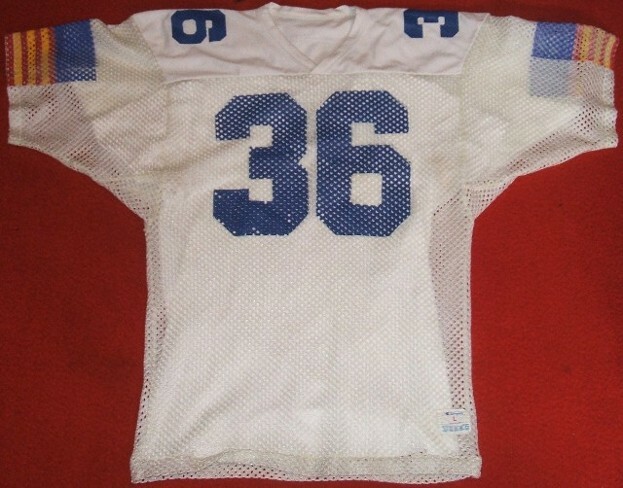 Numbers on mesh jersey were not outlined. 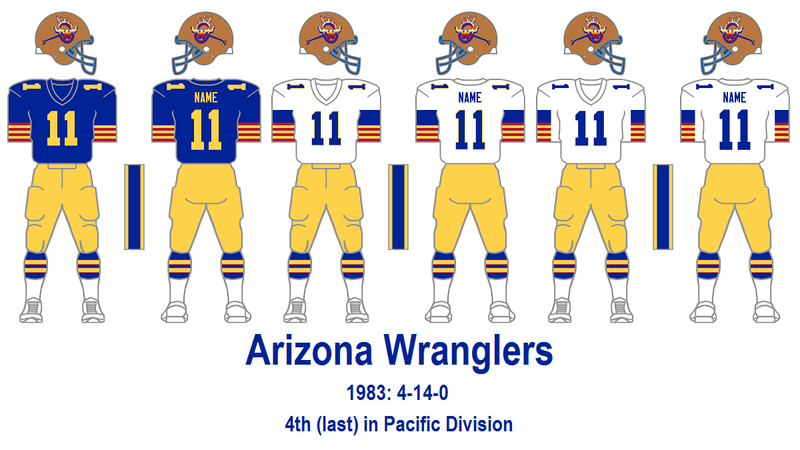 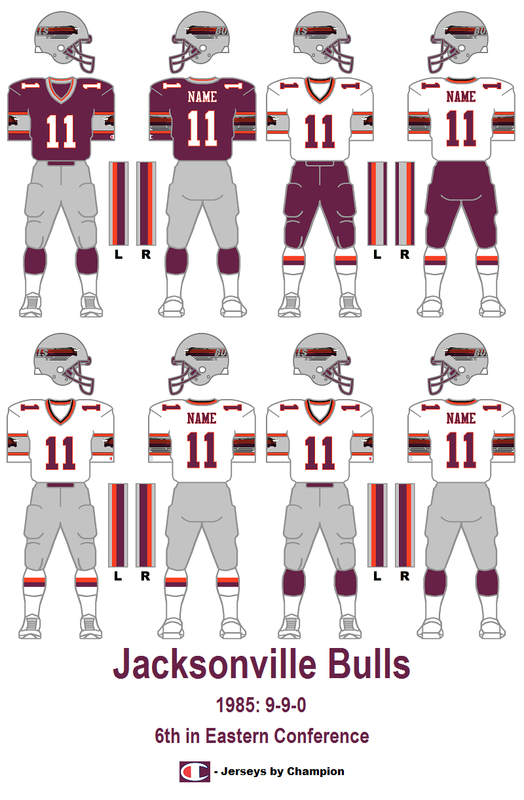 Wranglers went to complete sleeve stripes with the unequal pattern beginning in Week 4.